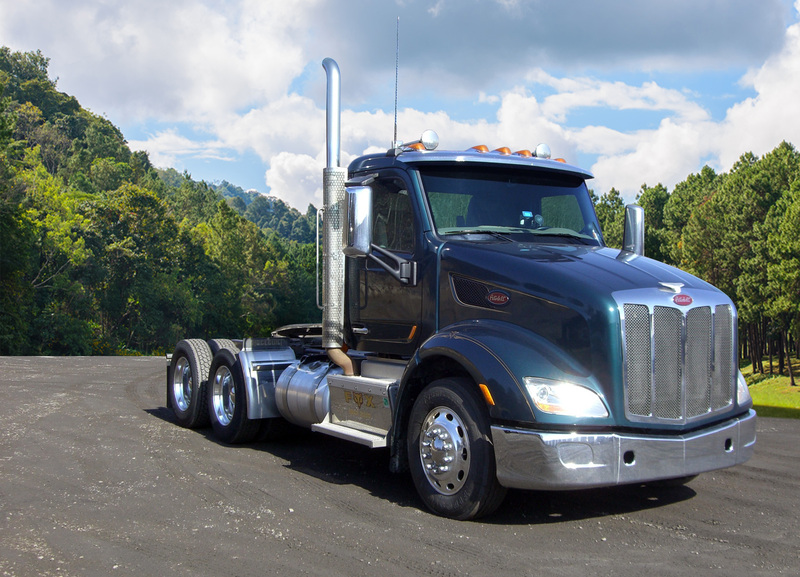 Fox Transportation, Inc. started as a refrigerated trucking company in 1980. Since then, we have consistently continued to provide fast, safe and courteous service to our customers. We are a family-owned business who take a hands-on approach with every aspect of our company. From dispatchers to drivers, our team of professionals is here to assist you in every way possible. Our Tamaqua Pa Terminal is conveniently located in Northeast Pennsylvania near the I-81 and I-80 travel corridors. For over 40 years, Fox Transportation has provided a full-range of trucking and transportation services to customers along the entire East Coast. When it comes to shipping frozen or refrigerated products, Fox Transportation understands there is no room for mistakes. Our fleet of 53-foot Air Ride trailers are well-maintained, washed and sanitized on a regular basis and are capable of deep frozen. Your products will arrive safely, on time, damage free, and at the correct temperature. Fox Transportation operates a weekly Refrigerated ( 32 degree ) LTL service from PA and NJ to Southern FL, Pickups are made on Thursday and Friday’s for delivery in FL the following Monday. We also Partner with other LTL carriers up and down the East coast and can help with your LTL shipments wherever they go. Fox Transportation has a variety of transportation resources at your disposal. We offer both Refrigerated and Dry Van service and together with the alliance’s we have built with other Trucking companies and delivery services located throughout the Eastern Transport Corridor, Fox will get your freight where it needs to be and when it needs to be there. We offer and encourage drop trailers at no extra cost to both our shippers and receivers. If delivery disruptions occur, Fox Transportation can help. The ability for us to provide both long-term and short-term storage give us a distinct advantage if you need to delay or divert your shipment. Our Tamaqua PA Terminal has loading and unloading services, shipment drop off services and secured parking. Contact us for specific information on how we can accommodate any of your specific needs. With Fox Transportation, customer satisfaction is our number one priority. If we can’t satisfy you, we’re not satisfied ourselves. Our staff is dedicated to moving your product safely, efficiently and quickly, and our drivers are experienced professionals with a stellar safety record. Our dispatchers are experienced with the different shippers and receivers in the North East and know how to move product and schedule deliveries with precision. At Fox, we prove every day why we’re the best at what we do. Delivering products efficiently goes hand-in- hand with delivering those products safely. Fox Transportation strives to meet and exceed safety regulations that pertain to our industry. From our trucks and trailers to our warehouse and storage yards, we make sure we meet all Federal Motor Carrier Safety Administration (FMCSA) regulations. Safe driving practices and vehicle maintenance are just a few of the guidelines we adhere to on a day-to-day basis. The health and well-being of our drivers is of utmost importance. Fox Transportation trains its drivers to be the best and to be the safest, both for themselves and for the Public we share the Highways with. We strictly enforce safe driving practices and combined with an ongoing safety and training program our drivers are some of the safest professionals on the road today.